Good news as FIFA have relented and allowed Joel Matip to play for the team that pay him his wages Liverpool Football Club. Klopp and the club have acted maturely throughout this saga. 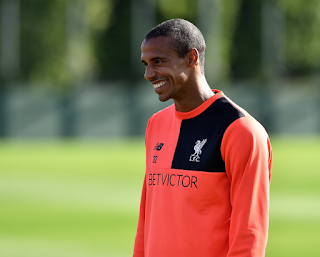 Matip had stated in 2015 that he had no desire to play for The Cameroon again, yet they picked him for their African Cup of Nations squad leaving him and Liverpool in limbo. The Liverpool manager was openly tempted to play him in the 1-0 win at Plymouth, a game he was fit and able to play in, thankfully he didn't and now he is free to play against Swansea at Anfield at 12:30 on Saturday afternoon. As well as Klavan has played, Matip is a step-up in class and his return alongside the improving Dejan Lovren will be a boost for the side. Expect Coutinho to return in place of Wijnaldum possibly in midfield with Sturridge and Firmino upfront. Paul Clement's Swansea are bottom of the League, will they park the bus or will they attack us? Lets hope for an emphatic victory on Saturday afternoon. Also welcome back Stevie G.